"Leno" redirects here. 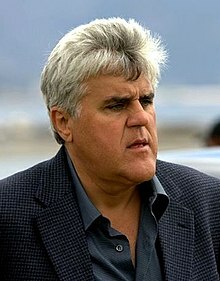 For other uses, see Leno (disambiguation). ^ "Sneak Peek at Jay Leno's Return as Joe on 'Last Man Standing ." TV Insider. TV Insider. Retrieved 11 November 2018. ^ FISHER, LUCHINA. "Howard Stern Gets in Another Dig at Leno". ABC News. Retrieved 30 June 2017. 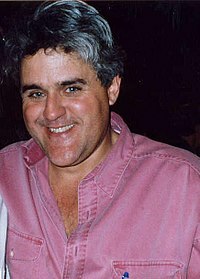 ^ "Jay Leno". Who's Who in America. Marquis. Archived from the original on 2009-05-07. ^ a b Henderson, Ann (July–August 2007). 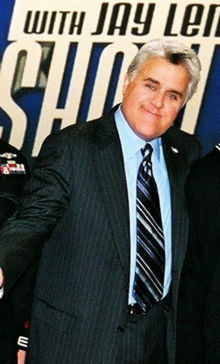 "Classic cars and comedy: Jay Leno talks about Nevada moments and his passion for cars". Nevada Magazine. Archived from the original on May 5, 2011. ^ Leno, Jay (April 30, 2007). "The 100-Year-Old Electric Car". Popular Mechanics. Retrieved 2018-05-27.